Boyle Heights is a Los Angeles neighborhood, located just east of downtown between the Los Angeles River and the city boundary. It is one of the city's earliest neighborhoods, and—like all communities—it has changed in many ways over the past century. 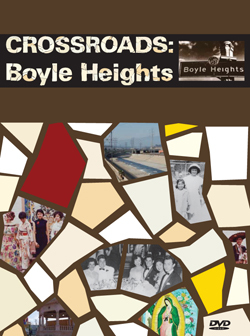 Boyle Heights is a Los Angeles intersection, a place of infinite possibilities where the paths of different people meet or cross. Boyle Heights has been home to people who have come to Los Angeles from different cities, states, and countries, who have different beliefs and traditions, and who speak different languages. Through the stories of past and present neighborhood residents, this film explores how the experiences and memories of many generations of Angelenos intersect in this powerful place. Produced in conjunction with the BOYLE HEIGHTS: The Power of Place exhibition. Available on DVD with extras including: Walking Tour, Street Scenes.